I am a huge Tintin fan. Belgian cartoonist Hergé, with his unmatched genius to blend humor with great story-telling, created a young reporter who has for generations been the hero of hundreds of millions of children around the world, myself included. I am not ashamed to admit that I own all the comic books, the complete television series on DVDs, a Tintin Swatch watch, t-shirts, calendars, posters, action figures and even a stuffed toy of Snowy the dog. Years ago I took a train to Brussels just to visit the Tintin Museum and open my wallets for more overpriced memorabilia. And so when I heard that Steve Spielberg and Peter Jackson (Lord of the Rings) decided to make a movie out of the comic books, I was overjoyed with excitement and fearful of disappointment. The moment I saw my childhood hero coming to life in the opening credits, however, my worries were replaced by goose bumps, and perhaps even a tear in the corner of my eye. My favorite comics finally got the respect and attention it deserves. It is a cast made in Hollywood heaven. Apart from the heavyweight director and producer, it features Jamie Bell (Billy Elliot), who supplies the voice for the title character, Andy Serkis (Lord of the Rings) as Captain Haddock and Daniel Craig (James Bond and Girl with the Dragon Tattoo) as the villain Sakharine. Veteran composer John Williams (Star Wars, ET, Harry Potter) works his usual magic on a tight original score. But it is the incredible CGI animation that impresses me most. Many of the action sequences are highly complex and life-like. From the sinews on Haddock’s arm to the tiny reflections on Tintin’s eyeball, every detail is looked after and drawn to perfection. Director Steven Spielberg takes liberal artistic license with the story and makes it more suited for the mainstream Hollywood audiences. 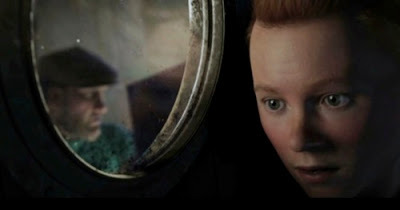 In the movie, Tintin and Captain Haddock were strangers until they meet on a ship, whereas in the comics they have been bosom friends since the 9th volume, The Crab with the Golden Claws. In the original Secrets of the Unicorn, there is no ship ride to exotic Morocco, no sensational plane crash in the Sahara, and my favorite character, opera singer Bianca Castafiore, never makes an appearance. I don't take issues with the changes. 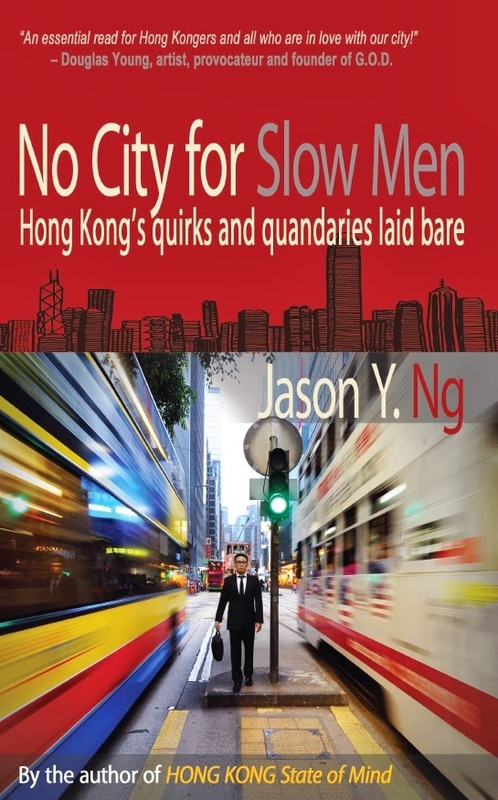 What matters is that the movie does justice to the young reporter's quick wit, resourcefulness and integrity, all of which come through clearly in what I hope the first installment of a long-lasting franchise. 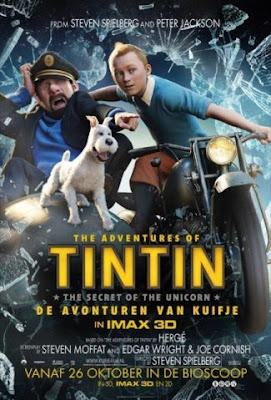 Hats off to Spielberg who takes on the near-impossible challenge of not disappointing ardent Tintin comic fans like myself and does so with flying technicolors. Although Tintin enjoys a cult following in Europe and Canada, it is hardly a household name in the U.S. Almost two hours long, The Adventures of Tintin may be a bit long for children who grew up reading Archies, Garfield and Calvin and Hobbes. But given the success of the first film, I am confident that it won’t be long before American children warm up to the lovable characters and start uttering phrases like "blistering barnacles" and "thundering typhoons." 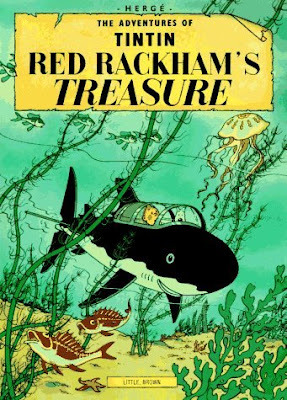 I look forward to the second installment, Red Rackham's Treasure (featuring the first appearance of the absent-minded Professor Calculus), expected to hit the big screen in summer 2013. I first heard of TinTin when I was a secondary school student and I knew that it's very popular in the West. I 've been longing to read the comics or watch the cartoon since then but I haven't got a chance. It then faded away from my mind. Thanks, Lily. You should encourage your students to read the comic books!